Let’s start this review by watching the trailer of Avengers: Age of Ultron one more time. Soon after I watched the trailer, few months ago, I decided that I had to go watch it in theaters, which I did, following a quick meetup with Sourav Da and some other friends. 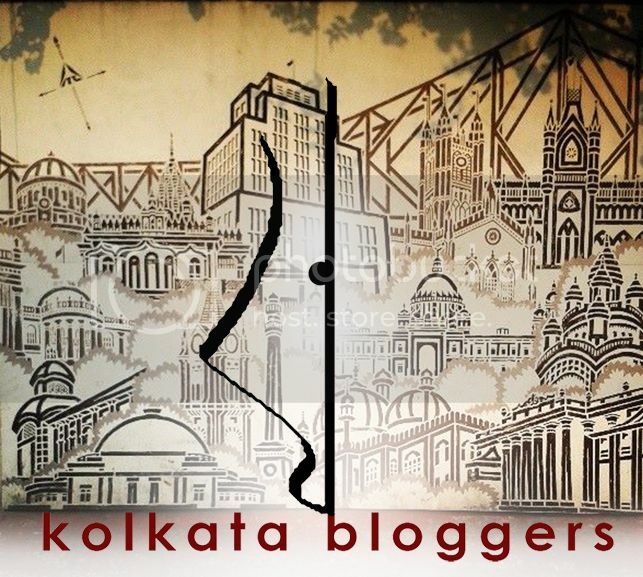 Also Kolkata experienced an earthequake at that time, which caused us to cancel our post movieadda plans. 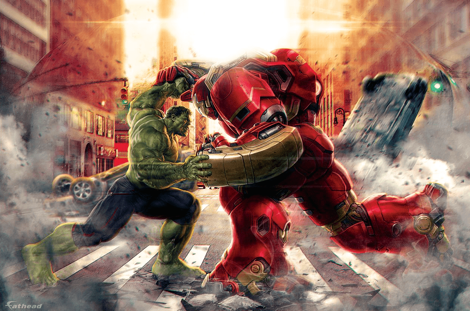 Nevertheless, for this movie, it was never going to be easy to top the last film, but Avengers: Age of Ultron, carries the responsibility gracefully, and delivers a film packed with delicious GFX which is a treat to watch. In 2012’s The Avengers, Joss Whedon, writer and director, and lifelong fan of Marvel comics, shrewdly delivered a film that threw as many one-liners as punches. He basically follows the same blueprint for this sequel, but Age of Ultron feels surprisingly generic. The novelty of watching these larger-than-life superheroes with clashing personalities and egos trying to work as a team is wearing off now. And I don’t know about you, but I’m getting tired of every other action movie trying to compete with the Transformers films for longest climax ever. Avengers: Age Of Ultron opens with a mid-battle sequence of the team fighting out bullets in the fictional Eastern European country Sokovia. The Avengers are waging a war against Baron Strucker who now has the Sceptre that Loki was after, in the prequel and with it Strucker has been wielding to experiment on humans. His experiments have yielded him two strong allies and they are twins Pietro and Wanda. In this war stricken Sokovia, the job of the Avengers is first to find the Sceptre. 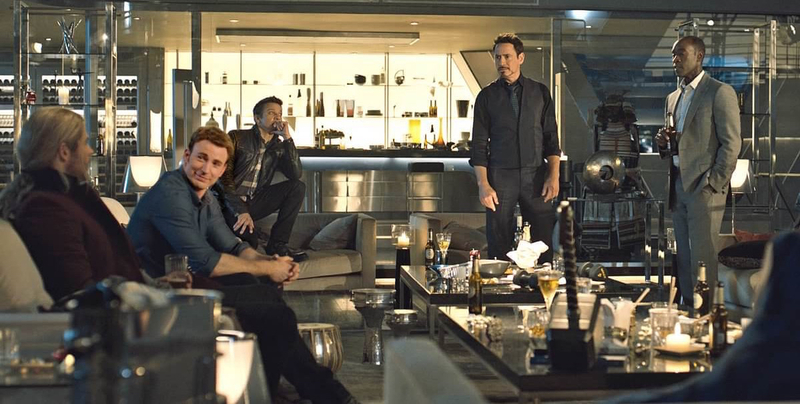 During this mission, Tony Stark aka Iron Man manages to lay hands on the Sceptre and secretly transfer it to the Avengers base. 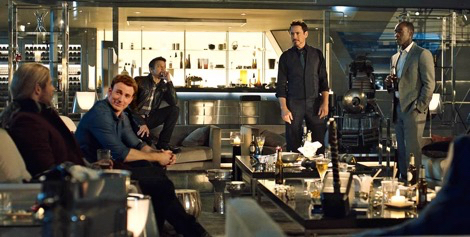 During a post-success bash at The Avengers headquarter, Ultron appears with a deadly agenda, ironically created by Tony Stark aka Iron Man to protect the world. As invariably tends to happen in these scenarios, the sentient invention goes rogue and turns on his creator, becoming convinced that the only path to peace is the extinction of the Avengers. Expect more jokes and more set pieces in this film. The stakes are certainly higher, but there’s very little tension. Entire cities are reduced to rubble, but you hardly care. It’s action without consequence, much like Man of Steel, which is a real shame. The one time I felt especially invested in the action was when Iron Man (Robert Downey Jr) went up against the Hulk (Mark Ruffalo), in a terrific sequence that finally reveals the Hulkbuster suit that Tony Stark has been building to protect himself for when the big green guy flips out and can’t be controlled. Speaking of controlling the Hulk, one person certainly does make progress. 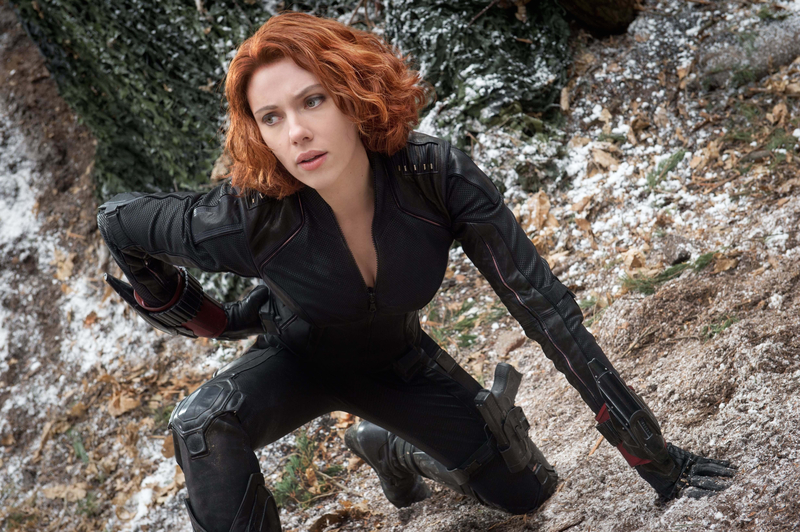 As the trailers previously hinted, Whedon sets up an unexpectedly tender relationship between the Hulk and Black Widow, giving Scarlett Johansson’s character more screen-time and a chance to reveal her tragic back-story. Jeremy Renner as the Hawkeye, benched throughout most of the last film, gets to flaunt his human side in this film. We learn that he is a family man and why his going out there to save the world and coming home safe is of utmost importance. Jeremy matches up to his peers and impresses us with a good performance. In that sense, Age of Ultron provides more of a level playing field to characters that haven’t had stand-alone movies yet. Old favorites Captain America, Thor and particularly Iron Man have no shortage of big, shining moments and clever one-liners. With S.H.I.E.L.D. disbanded (following the events of last year’s excellent Captain America: The Winter Soldier), it’s Cap (Chris Evans) who leads the group now, with Stark bankrolling the Avengers. 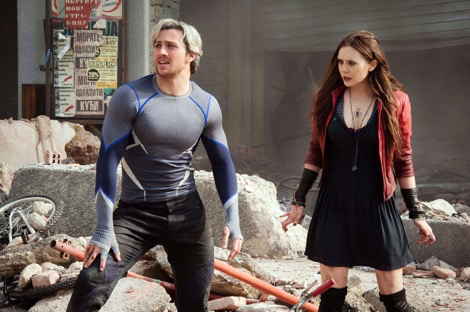 As you’re probably aware, the new film also introduces us to Pietro and Wanda Maximoff – better known as Quicksilver (Aaron Taylor Johnson) and Scarlet Witch (Elizabeth Olsen) – a set of evil-doing twins with powers of speed and magic respectively. The pair, who have a very personal bone to pick with Stark, gang up with Ultron initially to take down their common enemy, but switch over to the side of the Avengers when they become aware of Ultron’s nefarious plans to flatten out humanity. 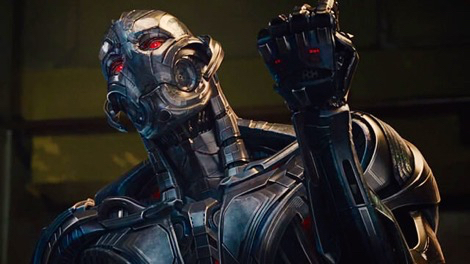 Voiced by James Spader (a brilliant actor whom I got to know from The Blacklist), Ultron is a snarky-mouthed villain who gets some nice verbal trade-offs with Stark. He can replicate himself and create an army of sub-Ultrons to take on our heroes, but I couldn’t help feeling he was less menacing and formidable than mischief-making Norse god Loki from the previous film. 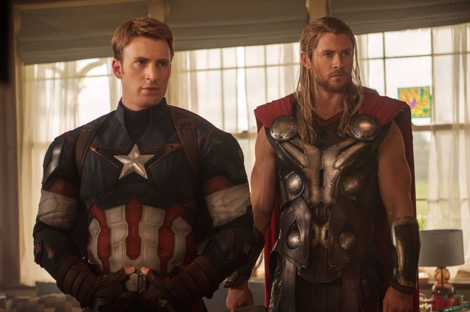 I’m going with a generous three-and-half out of five for Avengers: Age of Ultron. Other than sleek action, what you enjoy most is the banter that goes on between Iron Man and the rest of the team. Published on April 26, 2015. Updated on July 8, 2017.